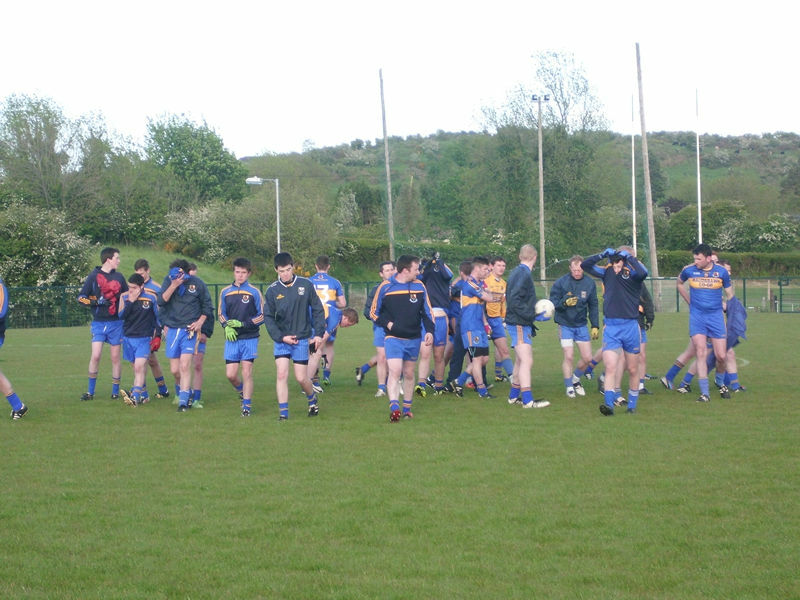 Our seniors recorded a terrific win this evening up in Crosskeys against Denn in the ACFL Division 1B. The lads played well throughout and the victory was never in doubt as they ran out comfortable winners on a score of Denn 0-10 Drumgoon 3-8. Playing with the breeze in the first half, on Denn’s fantastic new pitch, Drumgoon built on an unassailable lead in the first half. Denn were first off the mark through Dean Hyland who had an excellent game for them at wing forward. The evergreen Paddy Mc Cabe levelled things for Drumgoon from a free. 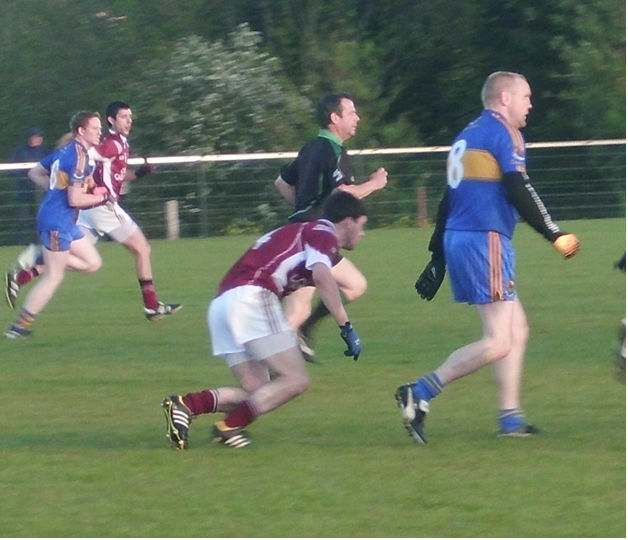 Aogan Farrell found Conor Moynagh, with a fantastic through ball, and Conor strongly shot to the net. Keith Fannin pointed two well taken frees, before goal keeper Corey Smith came forward, to point a 45 metre free. Paddy Smith was in flying form for Drumgoon and his brilliant running resulted in the goal keeper parrying a shot which Paddy Mc Cabe cleverly finished to the net. With Jim Mc Nally and Michael Mc Donald dominating at midfield the forwards were getting plenty of chances and Paddy Smith added a point, before Colin Kiernan had a point for Denn to leave the scores 2-6 to 0-2 at half time, in Drumgoons favour. In the second half, in the teeth of a very strong wind, Drumgoon put in a great rear guard defence. With tenacious tackling from Dominic Donegan, Eamon Mc Cluskey and Martin Fitzpatrick, Denn found it very hard to break through. 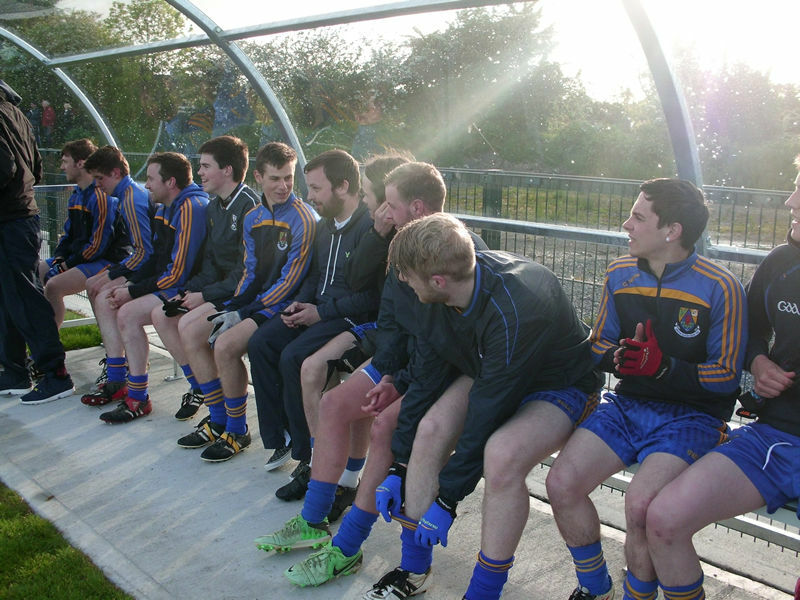 Points from Tomas Corr and Dean Hyland narrowed the scoreline, but they were mainly confined to long distance frees. The result was never in doubt after Paddy Mc Cabe, was foulded in the square and Keith Fannin coolly despatched the resultant penalty.